A few months ago I came across Quick Fix Facials in Boots after spotting them on buy one get one free. Quick Fix Facials (£4.99) specialise in face masks and have one for every skin type and skin concern. I picked up the Anti Blemish Mud Mask and the Mega Moisture Mask as I suffer from breakouts and oil but my skin can sometimes be really dry. Their Anti-blemish mud mask is a clay mask that helps draw out oil and clear spots. I don't find it to be as purifying as other masks but it helps soothe my skin and clear breakouts faster. My skin feels amazingly soft afterwards. 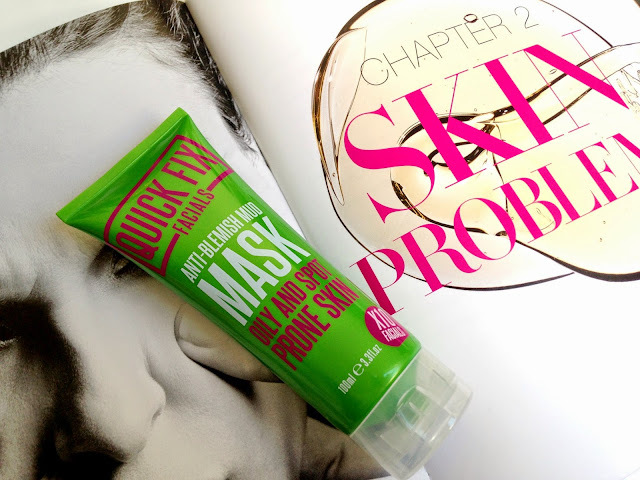 The Mega Moisture Mask smells amazing! It contains hyaluronic acid that will help plump and hydrate the skin. It's a milky white mask that injects moisture into the skin and it does exactly that. I really want to try more from the Quick Fix Facials range, I got both of these masks for £5 which is a bargain. I'm pretty sure I had more than 10 uses out of them too.